A year or more has passed since I last visited Herbert Park in Ballsbridge and much has changed since then. A friend told me that there was some street art that might be of interest to me. Early this morning I noticed that it was a beautiful day so I decided to visit Herbert Park but I went to the wrong section and could not find any street art so I decided to head home. I decided to take a short cut through the smaller section of the park, which I don’t normally, and then I discovered the new tearooms and decided to have a cop of coffee. I asked one of the staff if they were aware of the street art and they said that they thought that it might be beside the playground and that is exactly where it was. 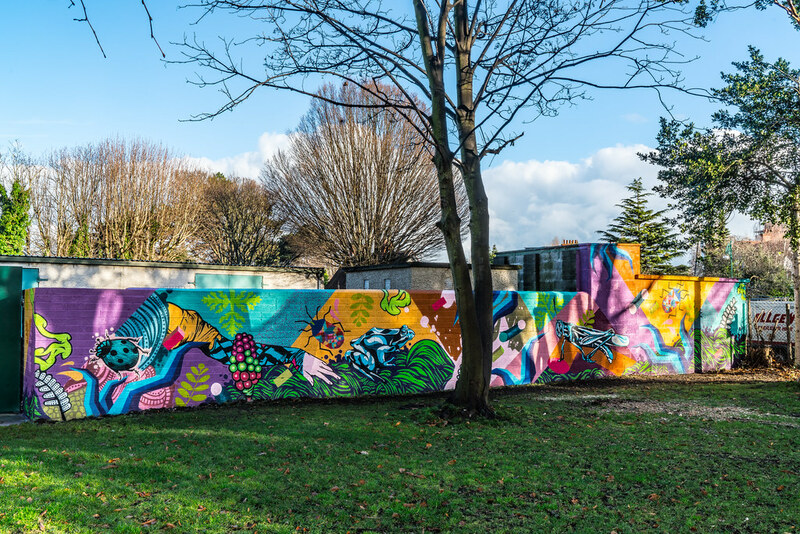 The artwork is titled ’Herbert Habitat’ and it is located is located at 'The Hive' Herbert Park, Dublin 4. 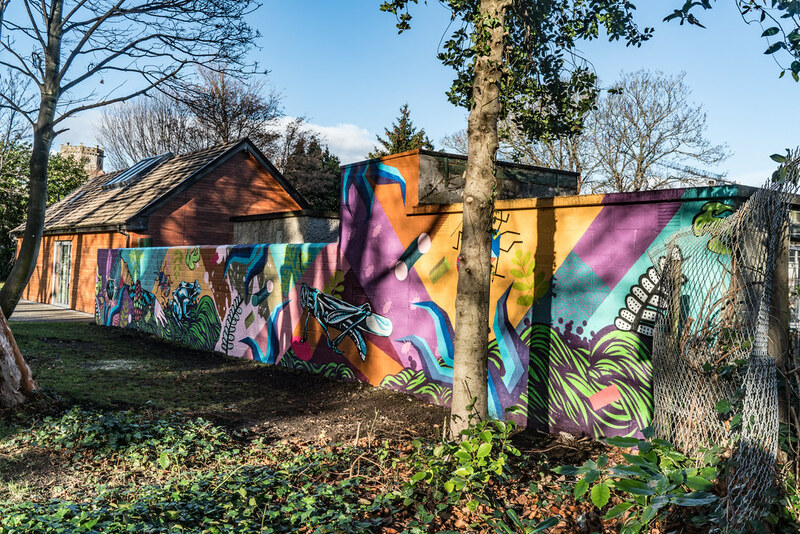 The work was commissioned by Dublin City Council Parks and Biodiversity with artists sourced through Dublin Canvas. “Dublin City Council announces the opening of its latest new Tearooms, located in the leafy surrounds of Herbert Park, Dublin 4. This is the latest addition to Dublin City Council’s Parks and Landscape Services initiative to refurbish older buildings in parks and transform them into more useable spaces for the public. The building in which the Tearooms are located was formerly a Pavilion in the park. Lolly and Cooks who operate the tearooms, were established in 2008. They are a family run business dedicated to creating and producing artisan food to the highest quality. The Tearooms are open from 9.30am - 9pm 7 days a week (summertime opening hours).